Last week in Motorsport world I’ve heard a great news: Gosia Rdest will race in GT3 race. Because I am following a little the career of this young talented girl from Poland and I am glad, that our drivers races in better and better racing classes, I thought that the best support for Gosia will be to organize a simracing event. The choice of car and track was obvious: Audi R8 LMS 2016 on Barcelona GP. 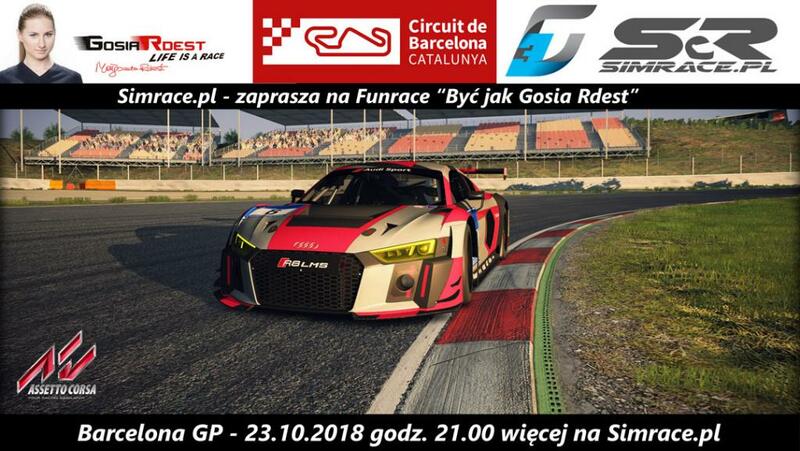 Qualification start to Fun Race named “Być jak Gosia Rdest” (Beeing Gosia Rdest) starts 23 of October 2018 at 21:00 CET. Race will start about 21:20 with duration of 40 minutes. This is my Audi R8 LMS lap on Barcelona GP. I did not practice too much and did not make any car setup, so there is few seconds to improve yet. 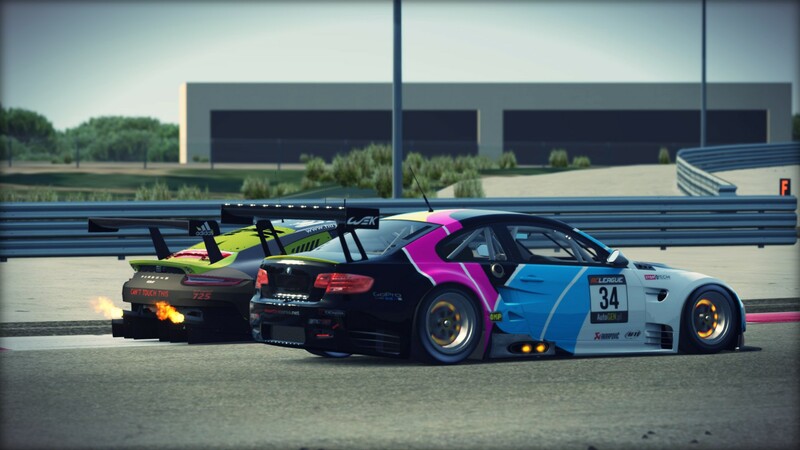 More about race you can find on Simrace.pl forum. That was very nice and clear race. See you next time! Good luck Gosia, fingers crossed!